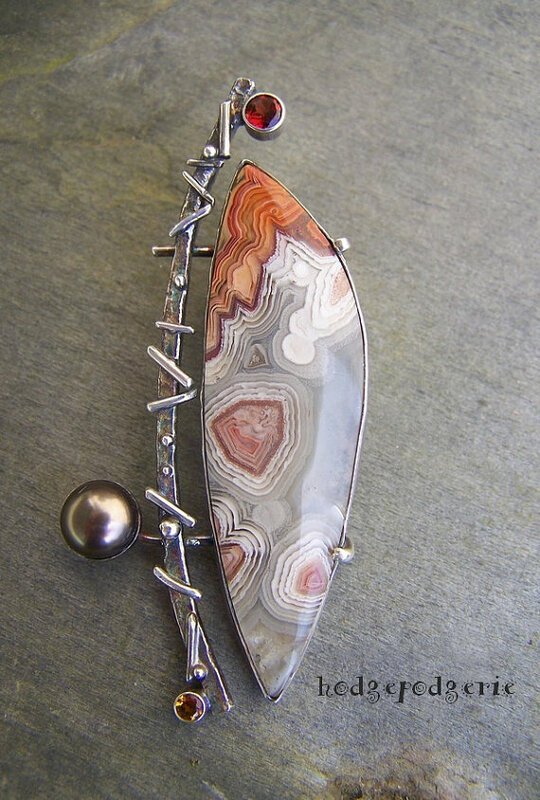 A gorgeous Laguna Agate cabochon creates the focal for this one-of-a-kind artisan pendant. 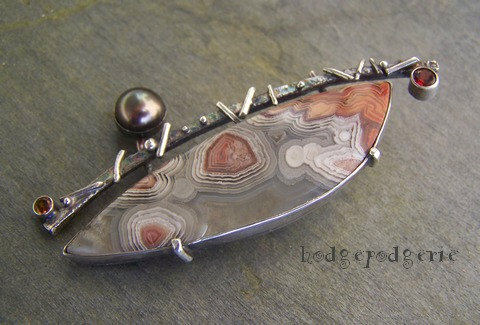 The agate is semi-translucent with whites, rusty-reds to soft peaches in different shades of grey. Lots of lovely banding and layers! 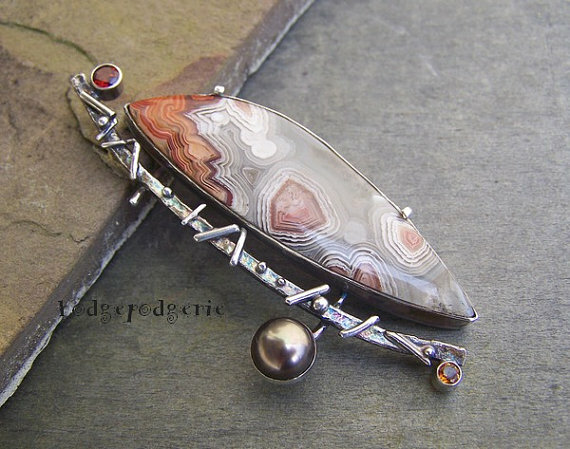 Sparkly faceted citrine and garnet gemstones add a bit of additional color while a luminescent dark grey pearl provides a nice contrast to the organic nature of the pendant. 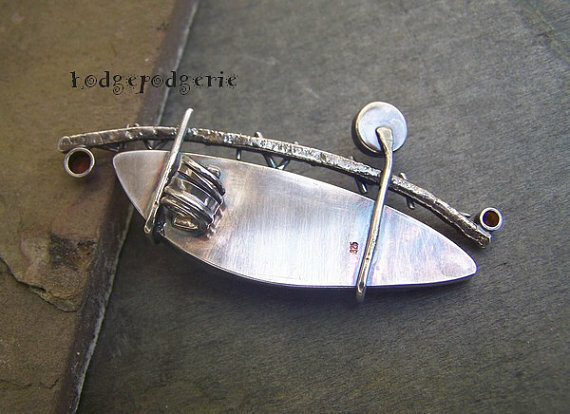 Totally hand-fabricated by me from Sterling silver, this pendant started out as simple sheet and wire. The pendant is 2-5/8 inches (68mm) across and 1-1/4 inches tall (33mm). The square wire has been heat textured providing a contrast to the smoothly polished bits adorning it. Suspend it from your favorite chain or cording! Return from "Primitive Musing Pendant" page to "Necklace Gallery" page.